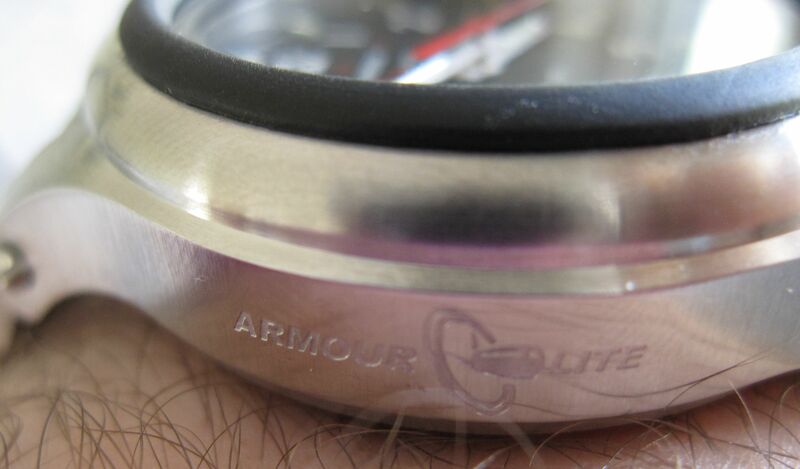 If you recall, when I last looked at a watch from ArmourLite, it was actually one of the first tritium-illuminated models that I had reviewed. 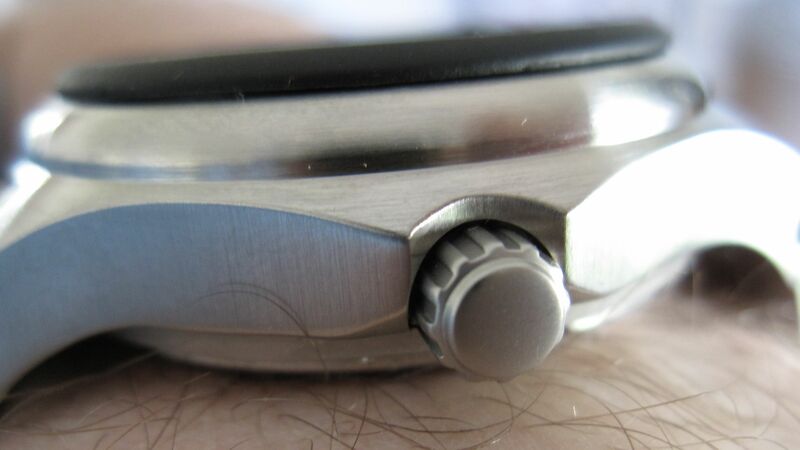 Today, we’ve got a different model on hand, and it presents a different look, both from the earlier review, and many other tritium-based watches out there. So, here again, we’ve got more simplicity. Just a date display on the dial, and only one shade of tritium markers on the dial. While many other models will have a second color at 12 o’clock, or multiple colors, one could easily argue that the single shade works well – I mean it does for lume, right? And how is the watch itself? Reliable courtesy of the quartz and long-life battery; the shatter proof and impact resistant crystal should keep it running for a good long time as well. Even though it’s an all-steel watch, I didn’t feel it was overly heavy, and really didn’t seem overly large on the wrist, even given the 43 x 16 dimensions. There are two quirks about the watch, though. First deals with the second hand, and is something I noted on the earlier Amourlite review. 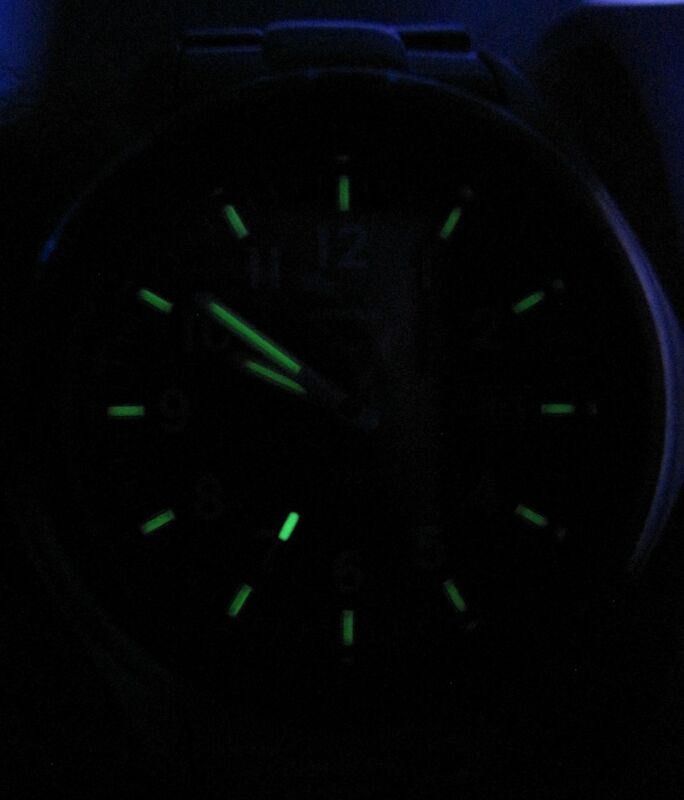 Rather than featuring a tritium tube on it, it relies on lume. Now, viewing the seconds hand in the middle of the night isn’t of the utmost importance, but it does seem to break with the form being set by the use of those tubes. Second is just a minor pet peeve of mine – if you’re going to have a black dial on your watch, let the date wheel have a black background as well. It just blends in a lot better. 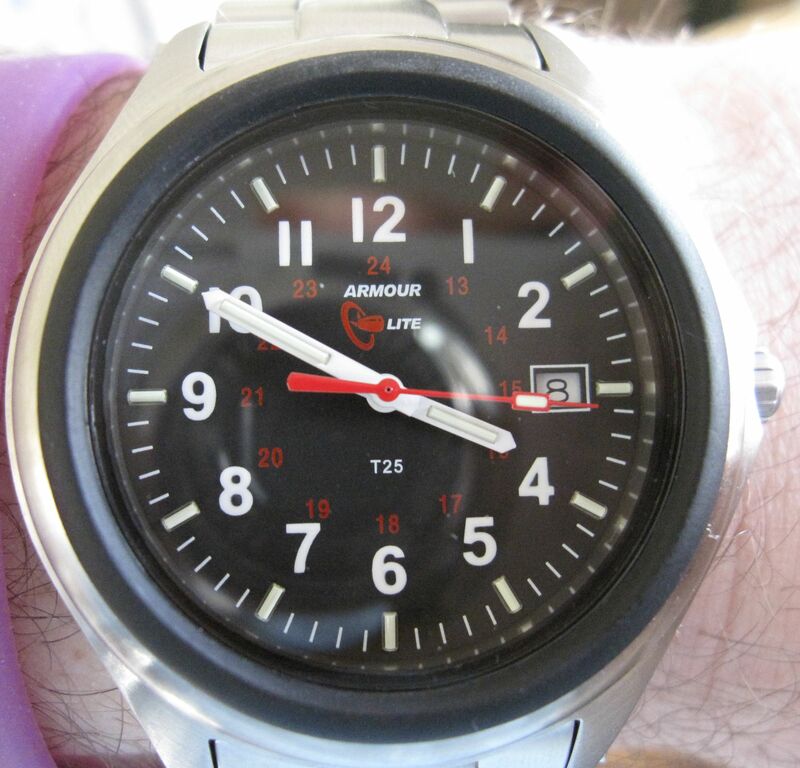 In the end, though, this is a great (and simple) watch. 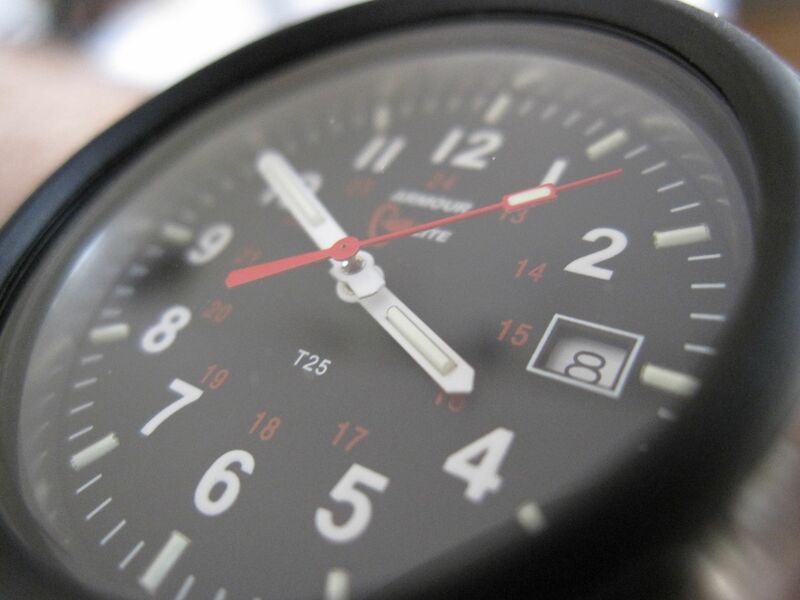 With the addition of tritium tubes, it makes for an excellent watch if you spend a lot of time in the outdoors. Given it’s expected longevity, the $229 asking price seems just about right. And should you not prefer the color combo we reviewed, there are two other choices (black/black and steel/cream).